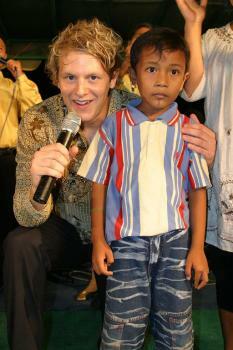 A team from Denmark was also there and together we witnessed God's grace and faithfulness in the lives of the people. He confirmed his word with repentance, miracles and signs. About seven hundred people responded in turning away from sin and becoming the disciples of Jesus. Our prayer and what we also are aiming in our work is that it will become lasting fruit. Wonderful miracles took place. 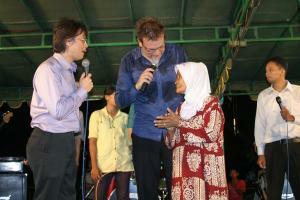 A lady with half of the face paralyzed was so excited when she got healed. 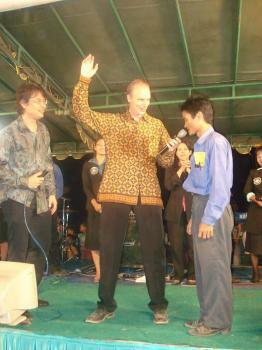 After the festival we had two nights of teaching the newly saved. 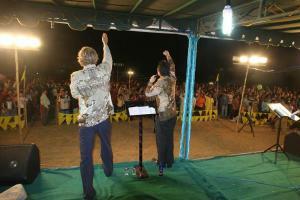 People came ready to receive the word of God. I can just say that Jesus is wonderful and it´s a privilige to serve him and see people being changed. Thanks to those who have taken part in this outreach. Continue to pray for all the newly saved and the local churches who are doing the follow-up.